Today, the Asia Society on the Upper East Side hosted a panel "The Global Food Crisis - Time for Another Green Revolution?" which resulted in some lively conversation to say the least. I have to give the Asia Society credit for putting together such a controversial panel. Stacked towards the BIG AG, Multinational Corporate and Trade Organization interests, the panel did include the impressive Doug Gurian-Sherman of the Union of Concerned Scientists who argued for LOCAVORE farming practices, biodiversity and organic! Not so lighthearted, Doug made a solid argument against global, mono-crop and cash-crop farming as THE way to tackle the global food crisis and, in fact, built a compelling case for a closer examination of local, sustainable agriculture worldwide as the solution. Not only because holistic, organic and sustainable farming techniques are better for the earth, but because it's better for the farmers, less expensive and, oh by the way, has a similar yield as genetically modified crops! In the humble opinion of this "LightHearted (and admittedly biased) Locavore", Doug did an incredible job of pointing out the lack of logic with much of the greenwashing propaganda of the "green revolution" touted by Monsanto and other BIG AG players for the past 50 some odd years. He argued, successfully in my view, for holistic, organic and sustainable agriculture as a means for solving the global food crisis (a growing crisis, as the world's hungry is around 1,000,000,000 --- that's one billion, repeat one billion hungry people --- up from 800 million not that long ago). I ran into a few of my food advocacy buddies at the Asia Society but didn't have a chance to catch up with all of them on their feedback. Afterwords, I did a little research on the Internet and found some good stuff. Not overly familiar with the work of Doug's organization, UNION of CONCERNED SCIENTISTS, I checked out UCS website and its Farm and Agriculture Section. There's some great information about Community Supported Agriculture for meat and eggs in the United States that is hard to find in other places so check it out. 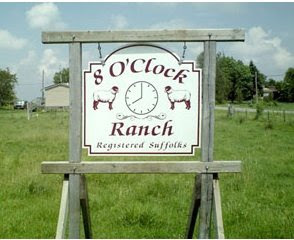 I very much enjoyed reading the case study on New York's 8 O'Clock Ranch upstate, one of America's leading meat CSAs. 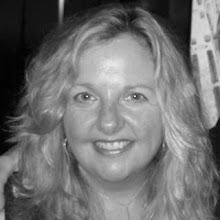 My husband and I are going to try the 3-month half share of 10-pounds per month. I made a donation. Click on the link to make yours: DONATION TO UCS. A meat-focused CSA, 3-, 6- and 12- month subscriptions for either a half share of 10- or full share of 20- pound deliveries of beef, pork and lamb in various cuts. I'm hungry just thinking about their 100% grass-fed, humanely raised, organic meats and so is Henry. This amount will feed a family of 3-4 between 12-15 times a month"
I've been reading up on your blog for the past week and I really enjoy. I recently came accross bSaves and thought you might be interested. I was thinking that it's a pretty cool energy saving concept.